The anthrax bug swiftly disarms the sentinels of the body's immune system, hampering their ability to defend against the potentially lethal bioterrorism agent, a new federal study shows. The results suggest medical treatment to boost the immune system at the earliest stages of infection could counteract the toxin that anthrax produces in its initial attack. Antibiotics, like Cipro, could be used in concert to kill the bacteria themselves. The federally supported study began in the months following the 2001 anthrax attacks that killed five. In those attacks, which remain unsolved, one of the first victims was sick for days before he was seen by doctors, who suspected a case of the flu. His white blood count, a sign of bacterial infection, was only slightly elevated. That suggests the anthrax bacteria were able to fly under the watchful radar of his immune system and proliferate. As the 2001 anthrax crisis spread, physicians wondered how the weaponized bug was working. In the new study using mice, researchers at Emory University in Atlanta, the Centers for Disease Control and Prevention and the National Institutes of Health, provide some fundamental answers: They found that anthrax toxin targets front-line immune agents called dendritic cells. Once the bacteria disarm the dendritic cells, they can evade the immune system's other defenders and spread unchecked. Details appear in this week's issue of the journal Nature. "Anything that impairs the function of dendritic cells is really hitting at the Achilles' heel of the immune system. That is exactly what anthrax lethal toxin appears to do," said principal author Bali Pulendran of Emory University. 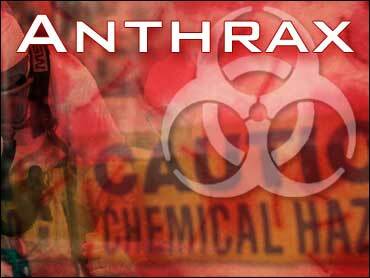 A previous study in the journal Science last year used test tube experiments to show that anthrax also inhibits and destroys large white blood cells called macrophages. The immune system deploys those cells to fend off microbes. That presumably would also allow the anthrax bacteria to spread, again unhindered by the immune system. Together, the two studies show anthrax relies on multiple mechanisms to disrupt the body's ability to stave off infection, Pulendran said. Michael Karin of the University of California, San Diego, and lead author of the Science study, said it was both "interesting and curious" that anthrax relied on different strategies to attack different immune agents. "What is important in the new work is they show that the bacterium can actually inhibit the activation of dendritic cells without killing them," said Karin, who was not connected with the Nature study. A Maryland company gained approval from the Food and Drug Administration last month to begin human tests of a drug that blocks the toxin. And the recent deciphering of the genetic makeup of anthrax likely will lead to other drugs and vaccines to thwart the germ. Understanding of the toxin's effect on the immune system also could lead to beneficial uses for the toxin. Pulendran said new drugs might be developed to aid those suffering from autoimmune diseases, severe allergies or who risk organ rejection following transplant surgery.